A hacker named as "Ashik Iqbal Chy", from Bangladeshi Grey Hat hackers group hacked into the official website of Board Of Control For Cricket In India(BCCI.tv). The hacker managed to publish and edit few articles with title "HackeD By AshiK IqbaL Chy" in the news section of the site. Links to edited articles have also been displayed in the main page. 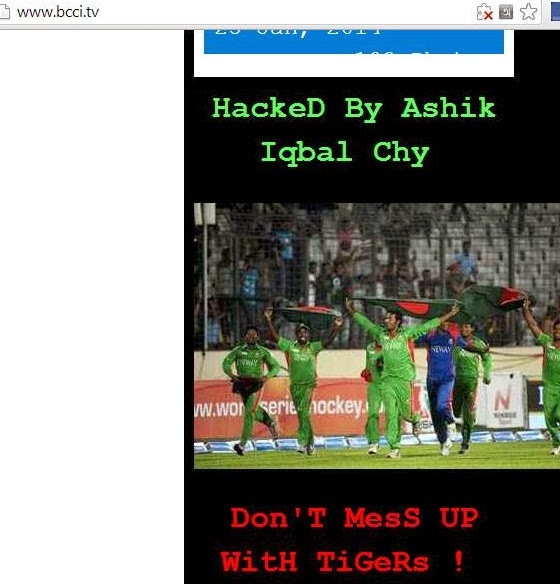 Hacker also changed the picture of the site with Bangladeshi cricket players with a short message saying " Don't mess up with Tigers!" Hacker told EHN that he gained access to the admin panel of the website and managed to delete articles from the site which results in "under maintanence" mode. Hacker told EHN that he managed to deface the home page also last night. 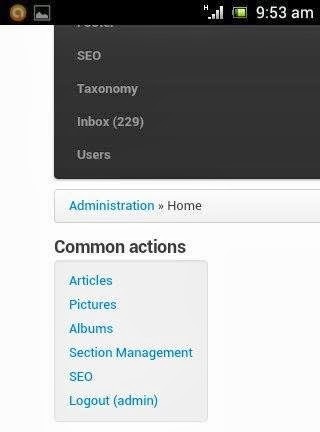 He provide us a screenshot of the admin panel. One of the member of the hacker group told E Hacking News the hack is part of a protest against "India, England and Australia proposal on test cricket placed to the International Cricket Council"